burden | This Thing Called Life . . . 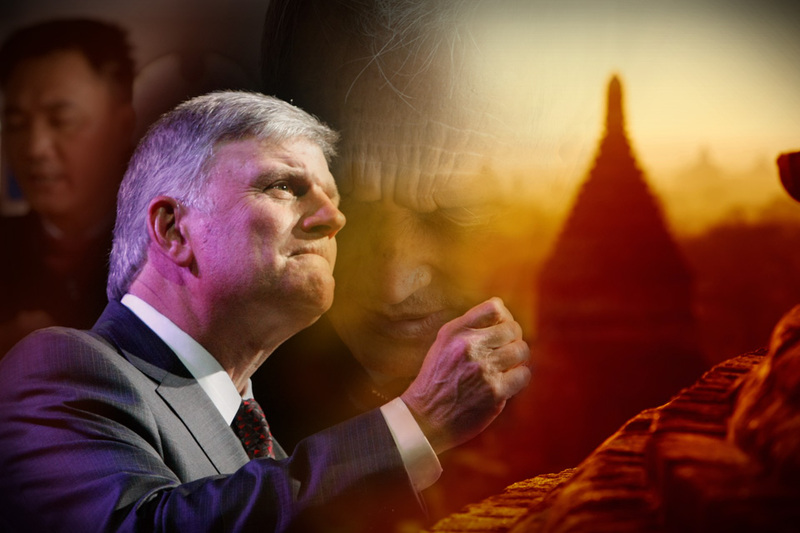 If you’ve ever thought that God is not aware of your pains and frustrations, your fear or crying during sleepless nights, please take the time to read Franklin Graham’s account of what occurred during his recent trip to Myanmar. A few weeks ago I traveled to Myanmar, a nation once known as Burma. We’ll be holding a Crusade there at the end of next year, and I met with pastors and members of the Crusade committee. This is a country that has been under military dictatorship for the last 50 years or so, and churches have been under severe restrictions. Things are beginning to change now, and we are thankful that churches are gaining some freedom. People are hopeful. As you can imagine, there is a lot of planning and groundwork that needs to be done far in advance of the Crusade, and we would appreciate your prayers. This is the first time the churches in this area have cooperated for an evangelistic effort like this, and we are asking God to work in a mighty way. Myanmar is a Buddhist country, and it has one of the most famous Buddhist temples in the world, the Shwedagon (or Golden) Pagoda. Thousands upon thousands of people go there to pray to the lifeless statues of Buddha. As I witnessed this in person, I thought of the story in the book of Daniel where King Belshazzar and the people “praised the gods of silver and gold, bronze and iron, wood and stone.” Almighty God responded with handwriting on the wall, and Daniel was called to interpret the writing. He delivered God’s judgment upon King Belshazzar for worshiping gods “which do not see or hear or know” (Daniel 5:23, NKJV) and for failing to honor the God who gave them breath.